We are a motorcycle ministry passionate about sharing Christ to the biker community. We will use our love of motorcycles and the open road to minister to and share our faith with bikers, giving them hope and assurance of God's love for them. "The Lord is not slow about His promise, as some count slowness, but is patient toward you, not wishing for any to perish but for all to come to repentance." 2 Peter 3:9 (NASB) - No One Left Behind! 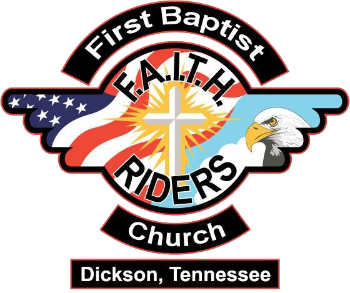 For more information about FAITH Riders, visit them on Facebook.